BRIDGES is proud to announce it has been approved by the United States Department of Education as an approved Comprehensive Transition Program (CTP). Students who meet the basic federal student aid eligibility requirements may receive funding from the Federal Pell Grant, Federal Supplemental Educational Opportunity Grant, and Federal Work-Study programs, which, in turn, may be applied to BRIDGES tuition. If you are interested in visiting please call (845) 341-4694 and leave your name, contact information and the number of guests who wish to come with you. BRIDGES is an exciting new inclusive post secondary education experience for young adults (age 21 or have exited high school) with ID, DD, and ASD. Born of the growing belief that individuals with intellectual or cognitive disabilities have the right to experience collegiate life in a way that is appropriate to meet their need and advance their long-term goals, BRIDGES joins a growing roster of similar program throughout the state and country. It is our goal that BRIDGES graduates will join the many SUNY Orange alumni who consider their experience at SUNY Orange as pivotal to their starting adult life pursuing formal higher education, enjoying the dignity of living independently and engaging in meaningful work. Our vision is to be the Hudson Valley’s leading college-based educational program for individuals with developmental and intellectual disabilities. BRIDGES’ mission is to offer an inclusive, community-based postsecondary experience that teaches skills and strategies and provides support to create successful and independent lives. 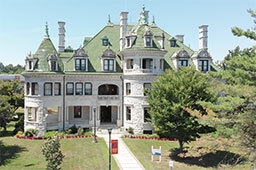 It is our sincere hope that upon graduation, BRIDGES graduates will join SUNY Orange alumni family who recall fondly how the College helped set in motion their adult life either as the start of their of higher education, the dignity of living independently or embarking on a career of meaningful work of their choosing.